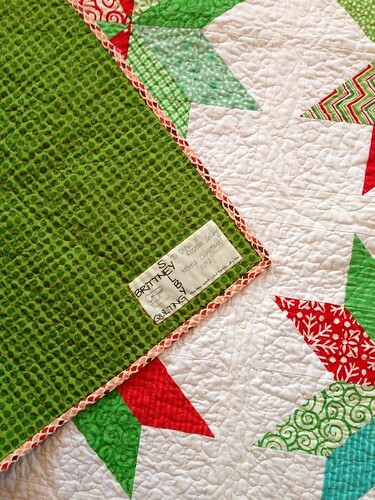 I made another holiday quilt for my in-laws to go with their decorations. 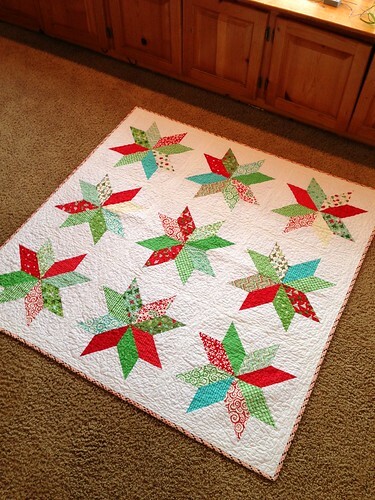 This Christmas quilt uses a traditional star block but expanded it to a larger scale. 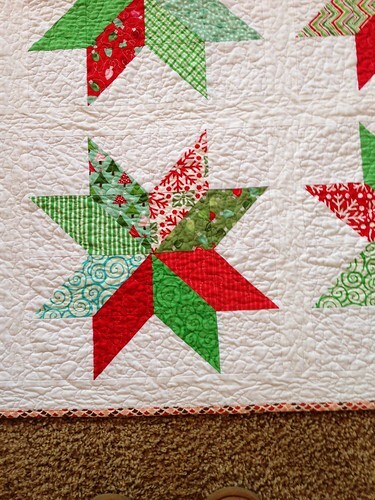 I used a little bit of holiday fabric and quite a few just holiday colored tonals mixed in. I backed it in a festive green and finished this one up back in November. We have made it almost to the end of the week of quilts. Tomorrow I will share my favorite finish of 2012.